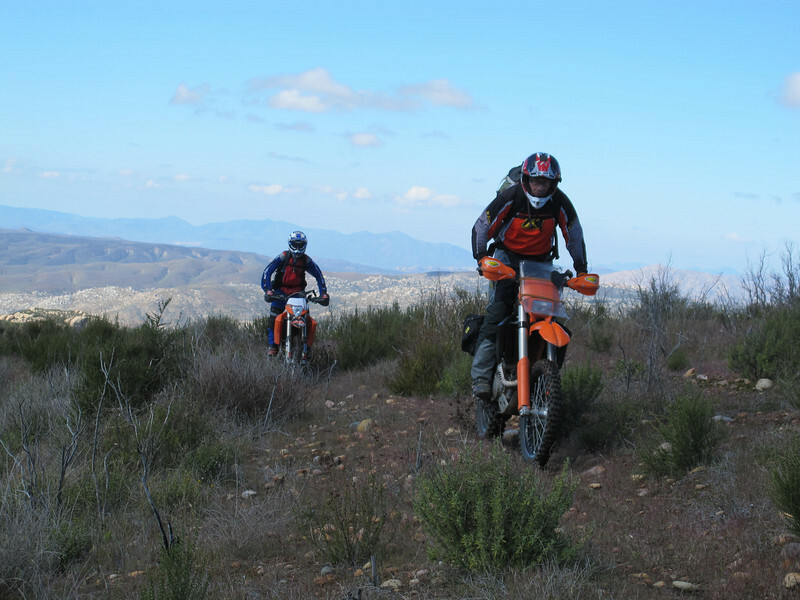 Discussion in 'Ride Reports - Epic Rides' started by neduro, Mar 3, 2011. 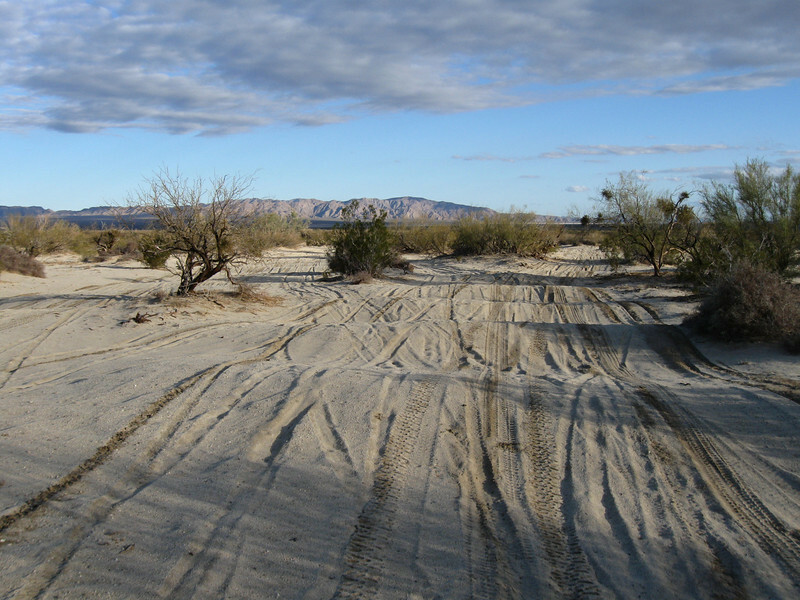 For dirtbags like me, Baja is a special place, not only for what it is, but also for what it represents- a time machine. 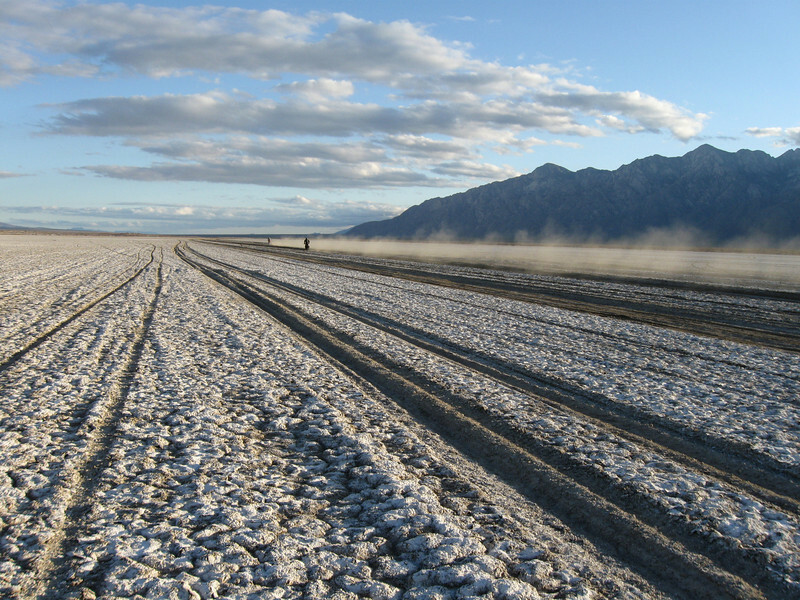 To travel there is to see what things might have been like years ago in the US, before we clogged the place up with 5 acre ranchettes and strip malls and roadless rules and whatever else were supposed to call progress. For years, its been on top of my winter list to get down there for at least a short time. 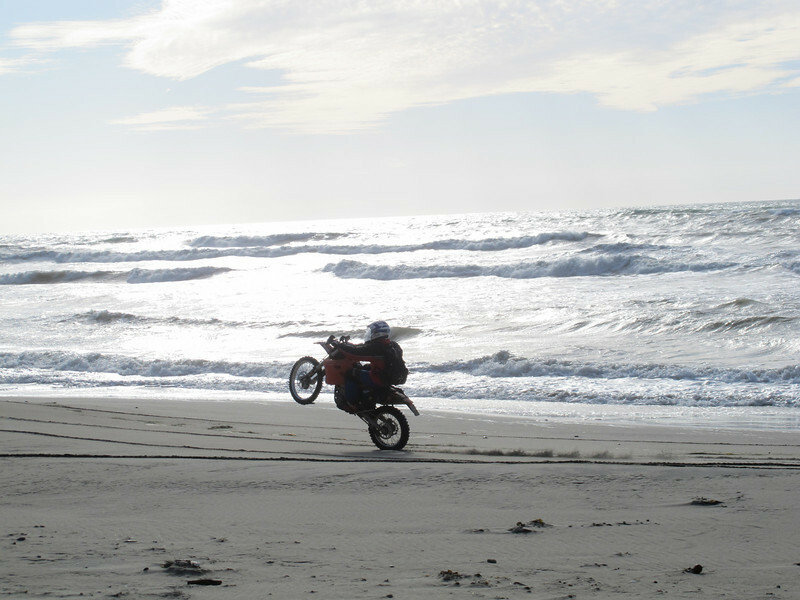 I never miss it, theres nothing to clear your head like a mile long beach wheelie. 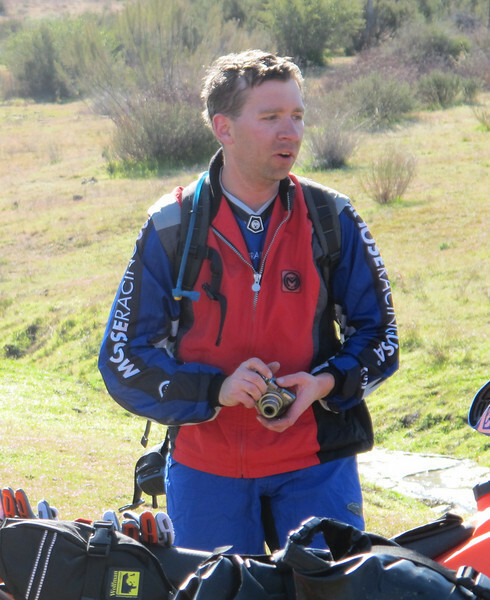 And my friend Dave, aka Magic, who used to run at the front of the National Enduro pack and makes my jaw drop with his fluid and effortless riding style. 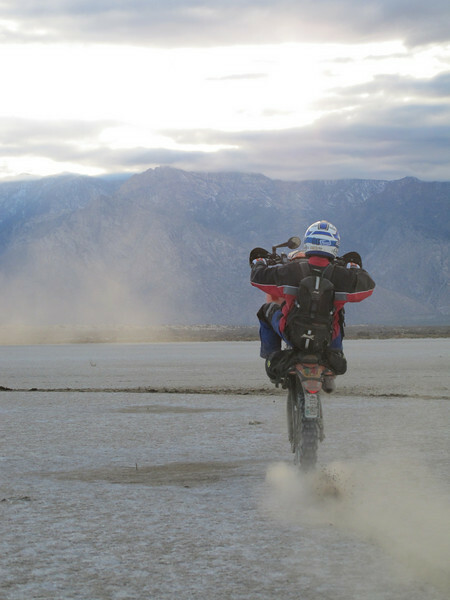 Whenever I feel like I know how to ride a motorcycle, watching him ride for a few minutes returns me to a feeling of complete inadequacy. 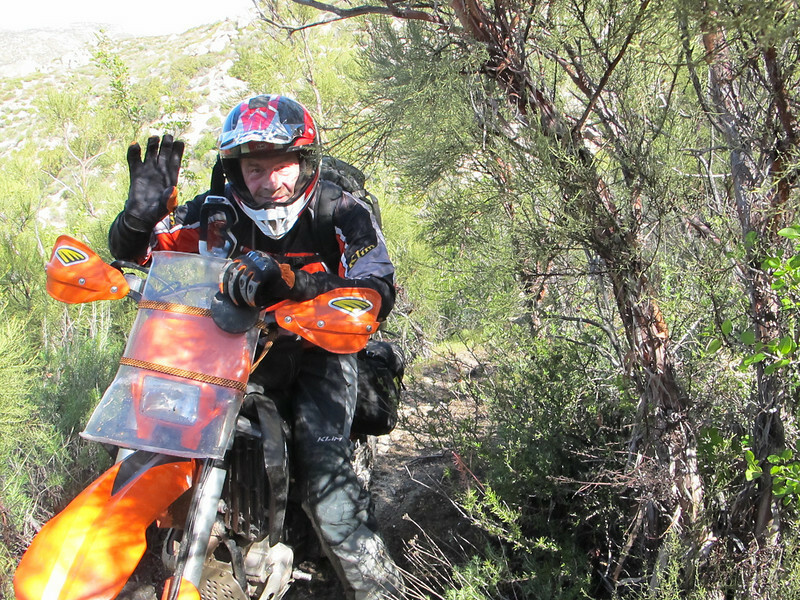 All of us would be on KTM 530s, so that pretty much set the itinerary- a big loop that got as far off the beaten path as we could manage. So that's where you disappear to?? Glad to see your going to put together a ride report! I already saw the amazing pictures on your smugmug and am pissed off I'm sitting behind a desk right now at work! haha. A trip like this has been on my mind alot recently and I'm excited to hear more about yours. I was so damned excited to see a ride report from Ned then realized it was started today. This should take about 3 months to finish! Time was short for this trip. We only had about a week to get the trip done, shorter than we wanted but we'd make do. We all met in Durango, loaded in the van, and drove through the night to arrive at Tecate first thing in the morning. 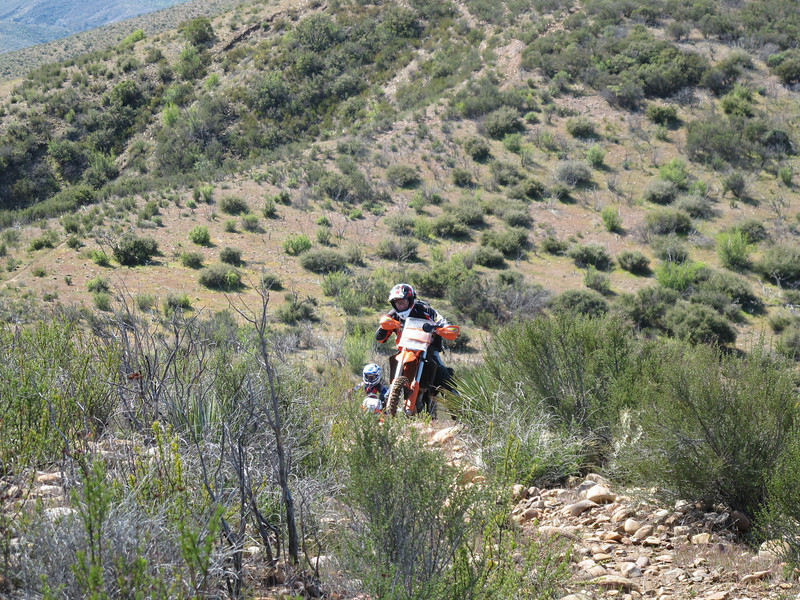 We abandoned the van, crossed the border without incident, and like any good crew of riders, headed for breakfast. Unfortunately, our bellies were quicker than our camera, so no pictures exist of the tasty treats we found at the bakery on the main drag. The first of many very good meals this trip. Next up, we wanted to do some exploring in the pine forest, and we hit the jackpot. 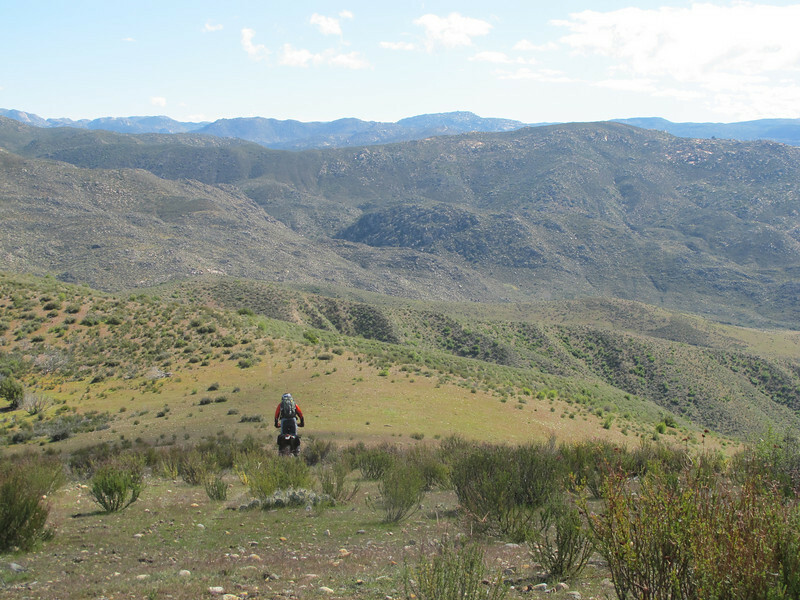 One turn led to another and we managed to find some really great singletrack, some of it quite grown over, as we worked our way South. Mike with his windshield- looks bad, works good. 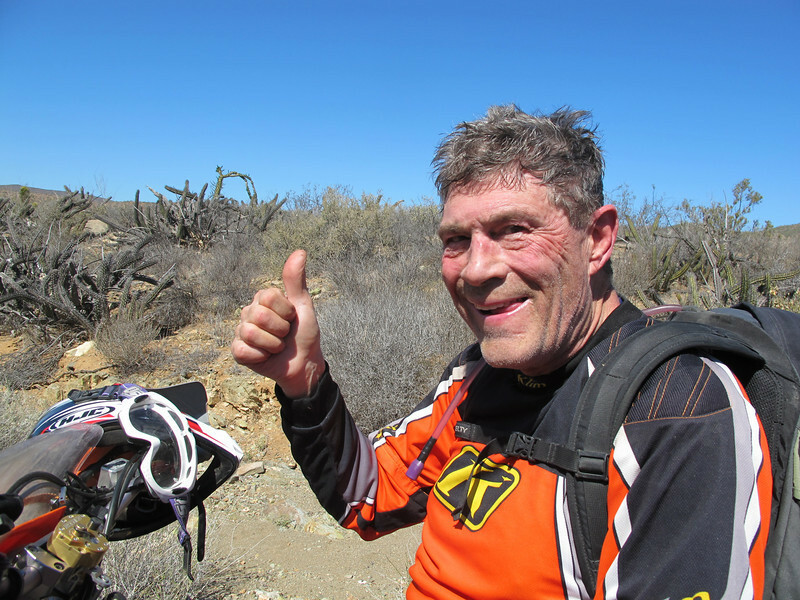 Mike: "For my 70th birthday, I want to bring all my friends here and give them CRF450Rs to ride that trail." See why we call him Captain Sunshine? Conditions were beautiful, and exploring was exactly what we all had in mind. 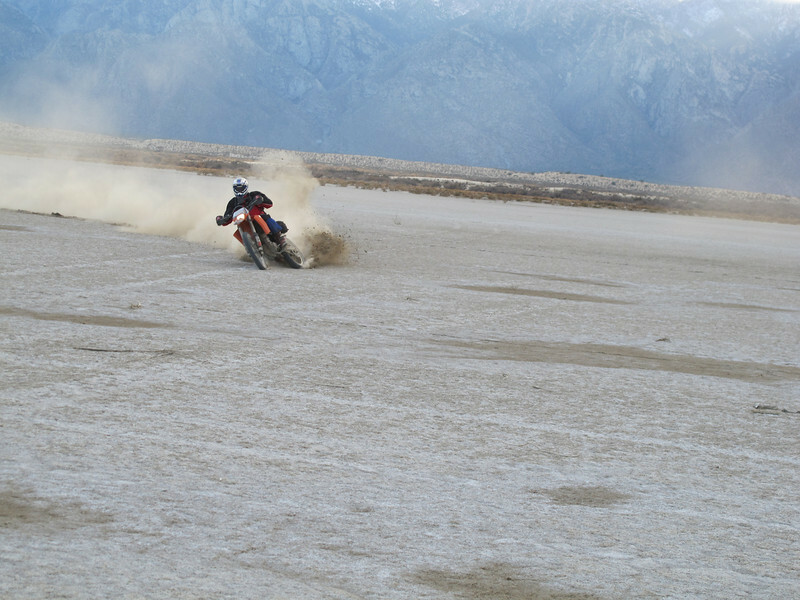 Riding a motorcycle is always a pleasure, but it becomes more when you don't know where you're going. 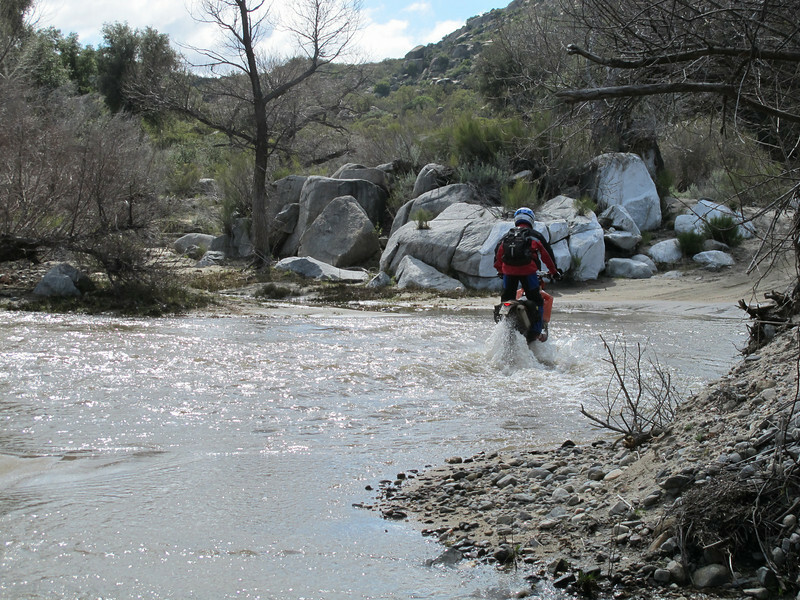 For me, riding shouldn't be like an amusement park ride- thrilling but empty- rather, the element of exploration allows it to become something deeply satisfying and wholesome. For that reason, I don't share GPS tracks. Good stuff. 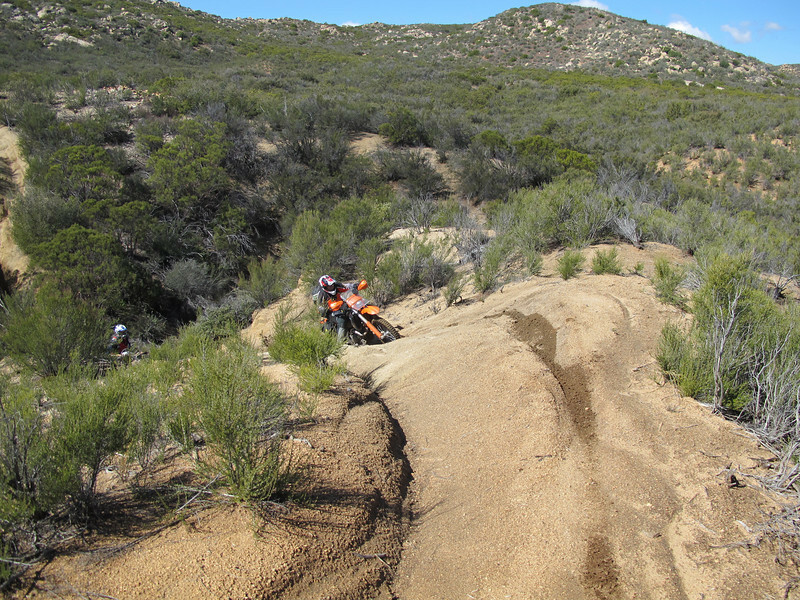 Nice to see some different terrain choices in Baja. Nice trails! Those beautiful thin lines are going to start me dreaming about Baja! My girl and I were at the same hotel as you guys in Loreto. Talked with Mike for a few minuets. He's one cool old dude. 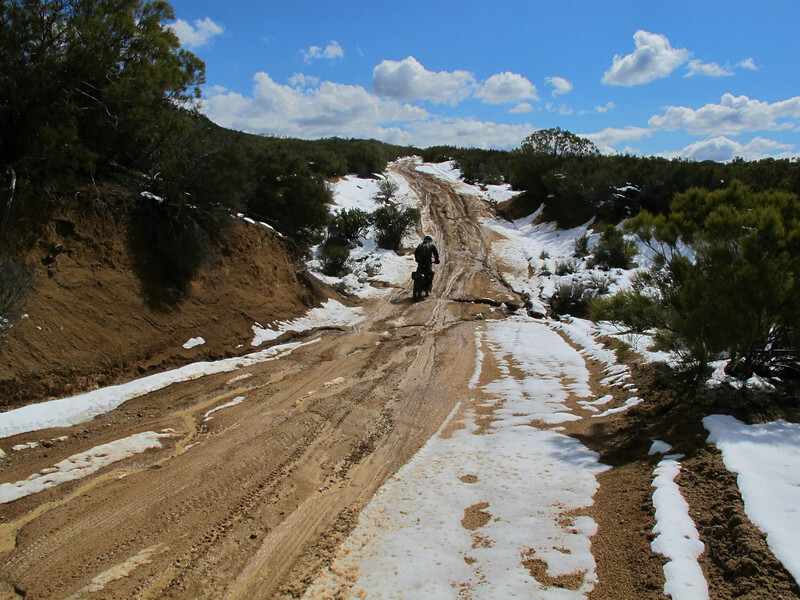 After a few hours of poking around, we decided to make some tracks. Roads of increasing size took us South and through some snow as we crossed Laguna Hanson. Snow gave way to SCORE course, it's amazing to me how well I remember sections that I raced years ago. Something about the intensity of the ride burns it into your head. 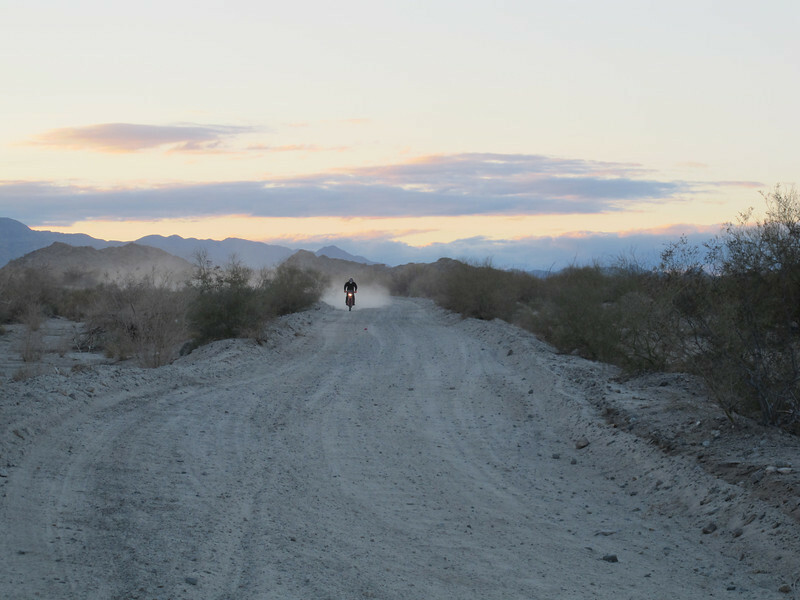 and into San Felipe just before dark. It's incredible to me how much SF has dried up over the past few years, people must believe what they hear on the news. One hotel owner told me his business was off 70% from a few years ago, everyone is scared he thinks. Fortunately, there aren't so many beheadings out on the trails.